Has the state of the world or the weather got you feeling like you'd rather stay in? If that's the case, you've come to the right place. 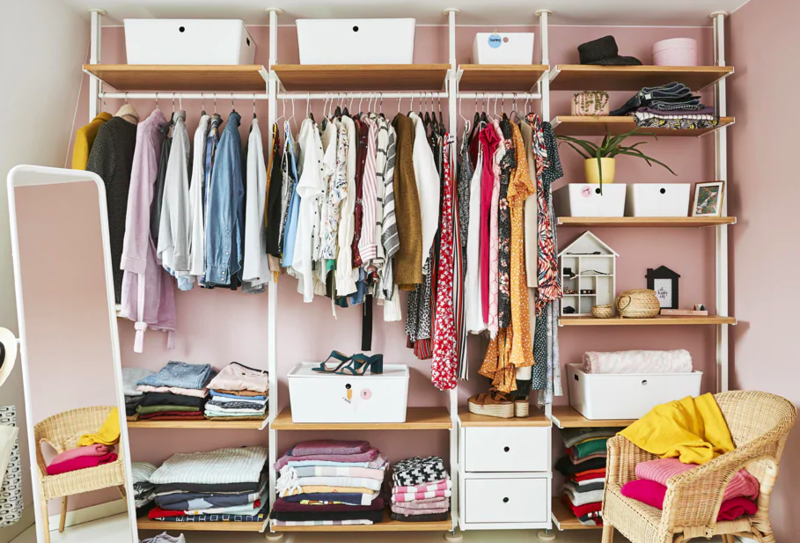 While we spend plenty of time talking about what's happening in fashion retail, we also want to give some airtime to another important retail category: home. Some of you might remember our announcement last year that we expanded our data coverage to include home, and with that we're able to see what's happening in the home business from LA to Stockholm. So as we turn the calendar to February, let's review a few trends slated to dominate 2019. 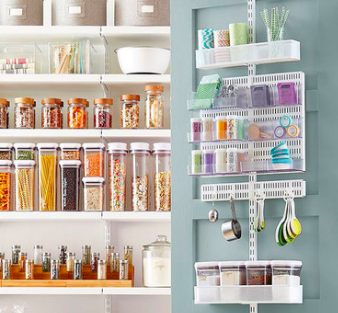 So in no small irony, one of this year's most important home decor trends centers on what you don't see. 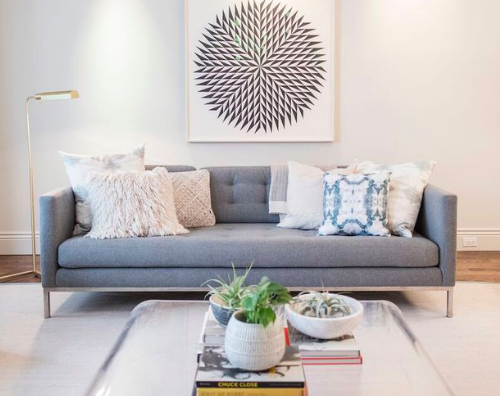 StyleSage data shows that since March of last year, there's been a 15% increase in the number of storage products from key home retailers. 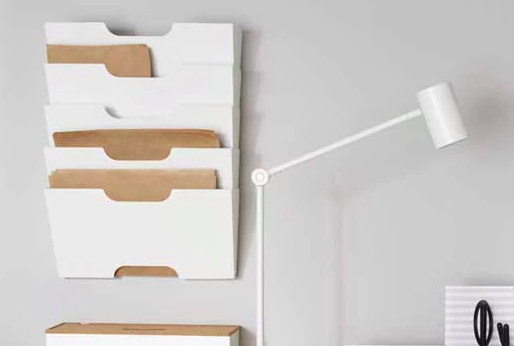 It's true: storage which enables you to streamline and finally put away your shoes, kitchen spices, or desk files can do more for a space than the addition of more decorative stuff. 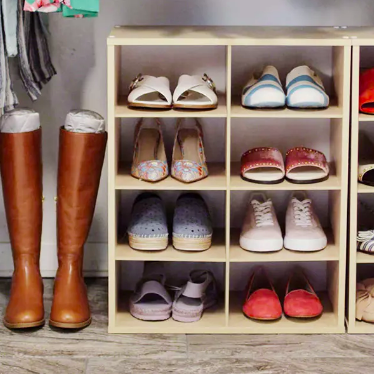 So while you may not be in the market for a set of $89, millennial pink, Marie Kondo branded shoe boxes, storage is one category where reasonable prices and plentiful options abound. 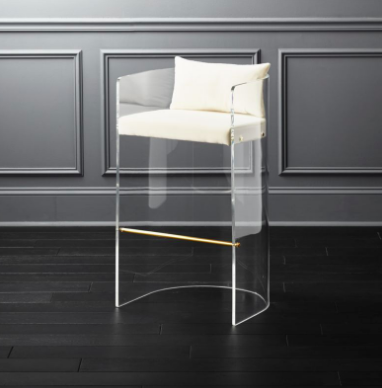 Acrylic furniture is having a moment, though as with many trends, it's been around for a long time in one way, shape, or form. Search interest for "acrylic furniture" hit its 12 month peak in early January. So why might it be trending now? 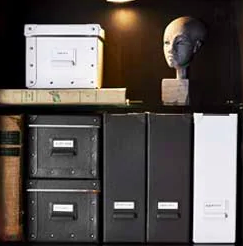 To start, it is a super versatile and sturdy material, which means it can mix and match with a lot of different decorative styles and it's also not fussy. 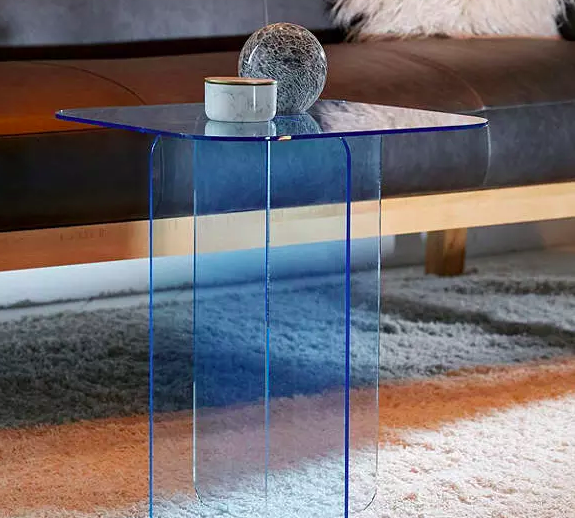 The biggest bonus of all is that while acrylic furniture is functional, its transparent nature visually frees up space, even when actual square footage is constrained. 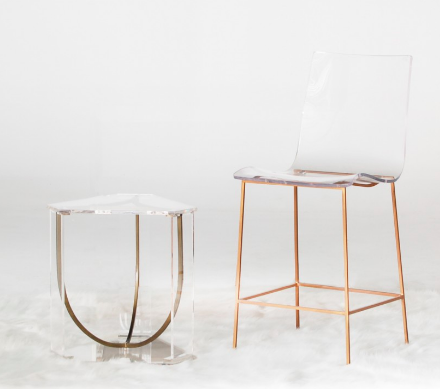 Its latest iterations include mixing acrylic or lucite with materials like wood or brass, as well as being shot through with a pop o' color. 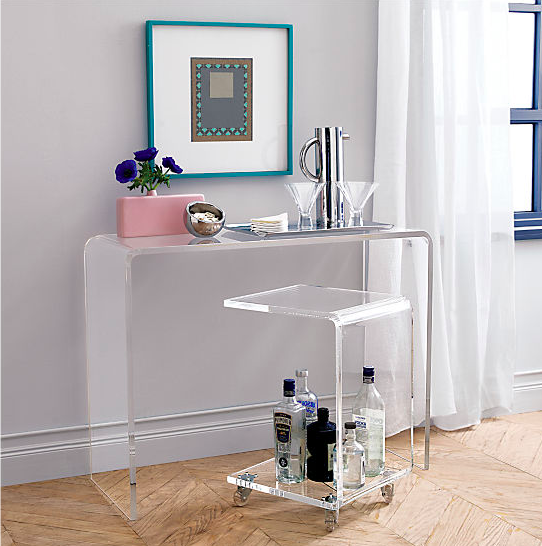 You'll find this in console tables, dining chairs, bar carts, and even accenting four-poster beds. 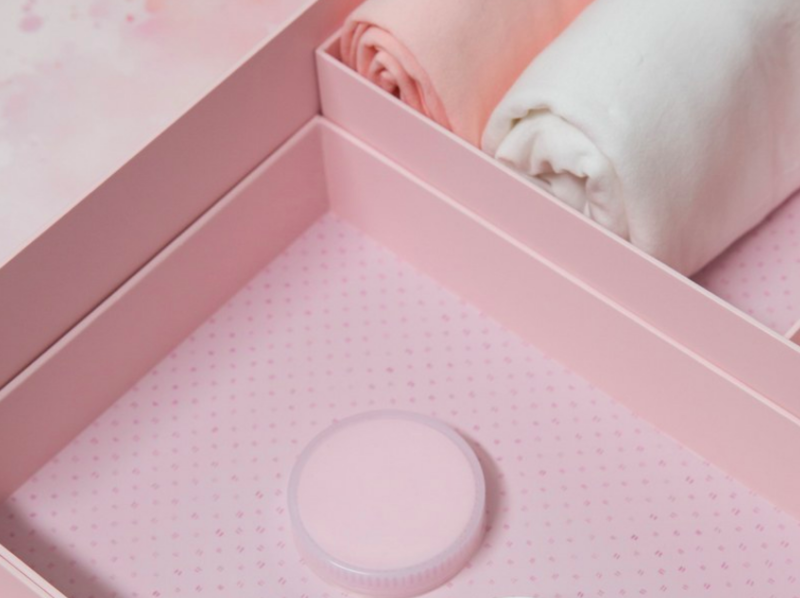 We're here to say that pink doesn't just belong to the millennials. 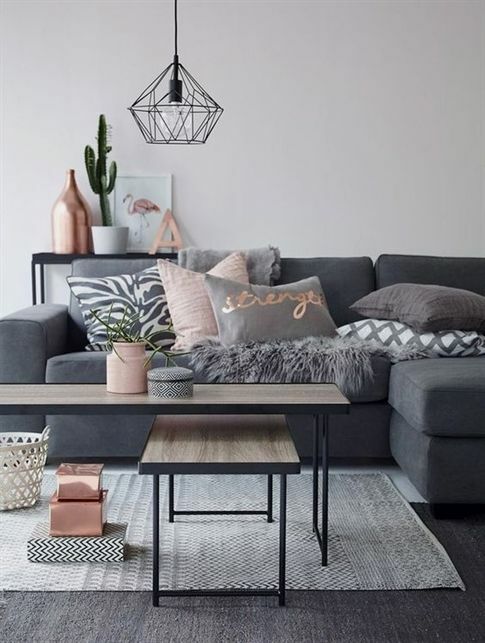 While there may be 50-some odd choices when it comes to pink, from Barbie to Tickle Me, this year, blush and dusty pink tones are coming up roses. 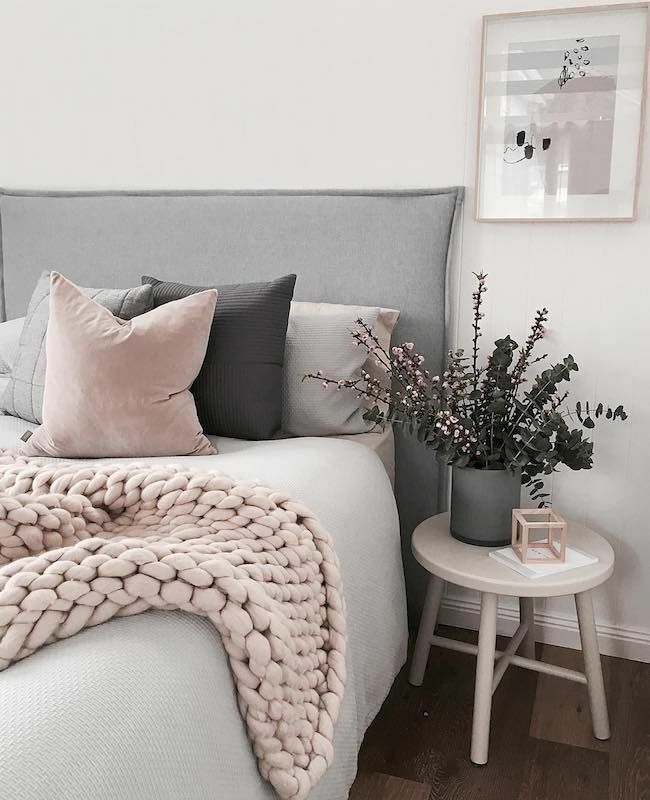 Our data shows that while neutrals (grey, natural, white) still dominate home textile assortments, pinks command 11% of the overall color assortment, which is no small feat. 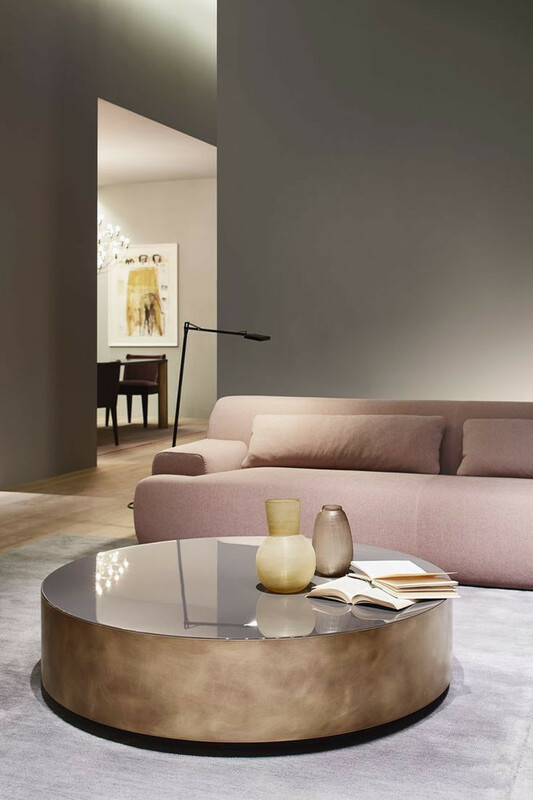 The allure of pink remains its versatility in pairing with other neutrals, and in its muted shades, it can handily add contrast without being overtly "feminine." 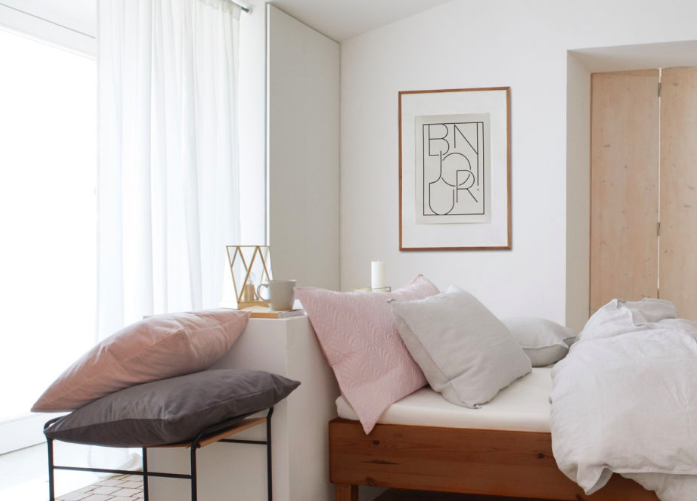 You'll see dusty pink and blush tones most commonly in the bedroom, whether that's a chunky throw, duvet cover, or accent pillow. Voice technology has been gaining momentum for a few years now, dominated by Amazon's Alexa and Google's Home devices. Between 2017-18, Google Home device YOY growth surpassed 400%, narrowing the gap between Amazon and themselves. 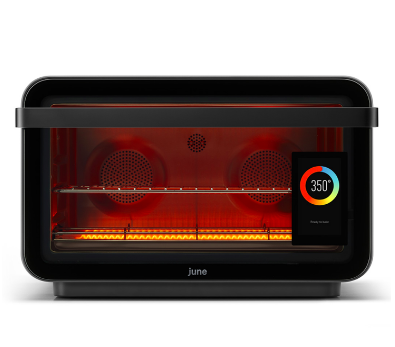 Brands making gadgets for the home, whether lightbulbs, TVs, or stereos, quickly realized that if they wanted to remain competitive in an Amazon-dominated world, they needed to build compatibility with the Echo devices. 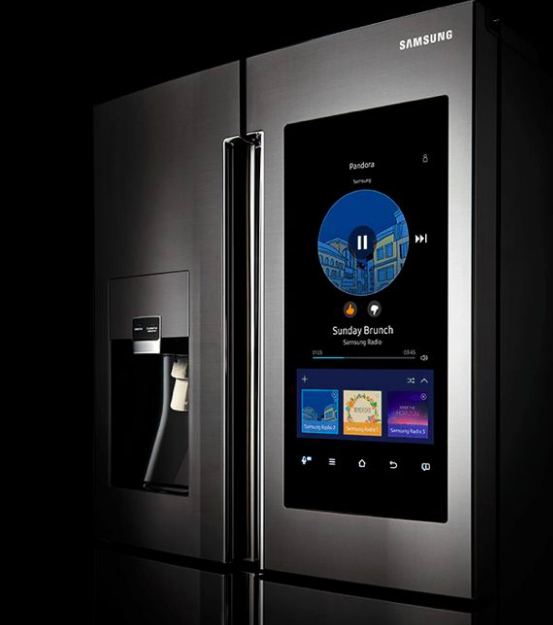 Now seems to be the moment when voice will stake its rightful claim to the kitchen. 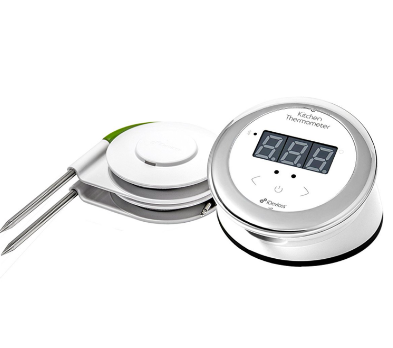 Voice enabled appliances can aid experienced and novice cooks alike in perfecting recipes from a distance, keeping tabs on perishables' freshness, and monitoring diet and nutritional needs. 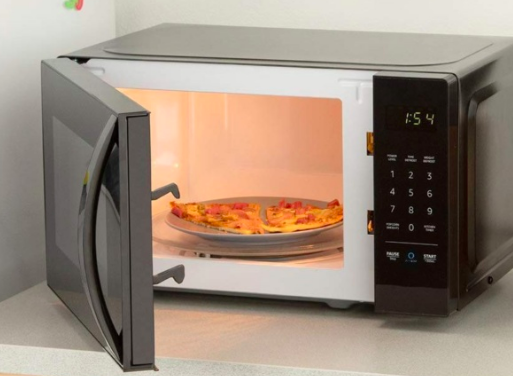 Appliance makers including Kenmore, GE, Kenmore, and Samsung have been increasing their offerings of smart appliances, including refrigerators, ovens, and microwaves. 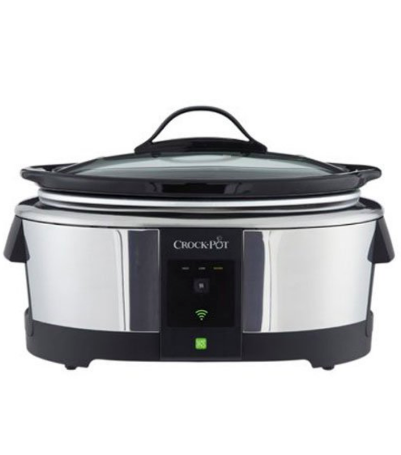 And even the smaller kitchen appliances the likes of crockpots, coffeemakers, and blenders are getting smart makeovers. 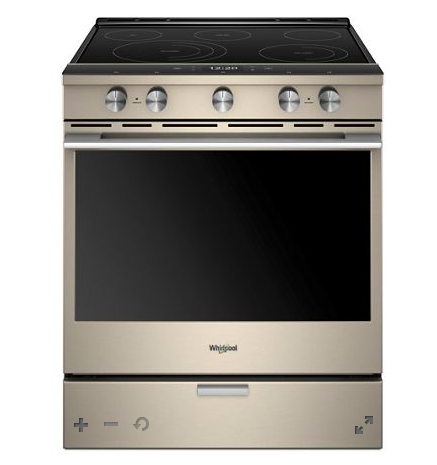 We anticipate voice technology in the kitchen will continue to grow market share, to the extent that pricing to the masses can reach an attractive point, and consumers believe that the data manufacturers and retailers receive about their eating and purchasing habits is used in good faith. Stay tuned here for all the latest news about the home business.